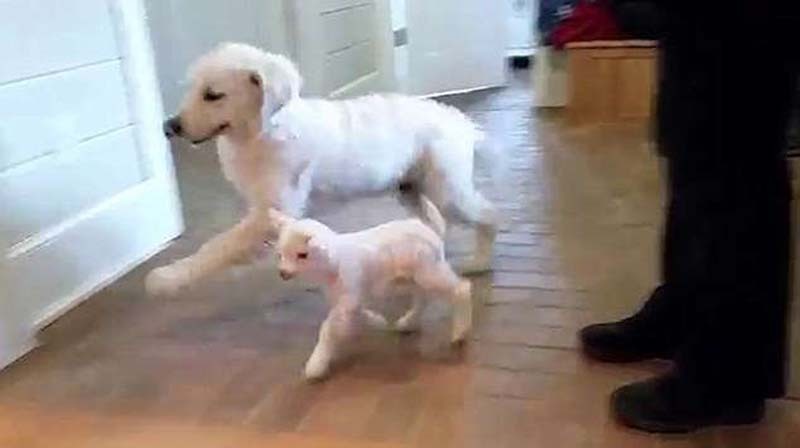 When it comes to unlikely animal friendships, a bond between a puppy and a goat is far from the imagination. 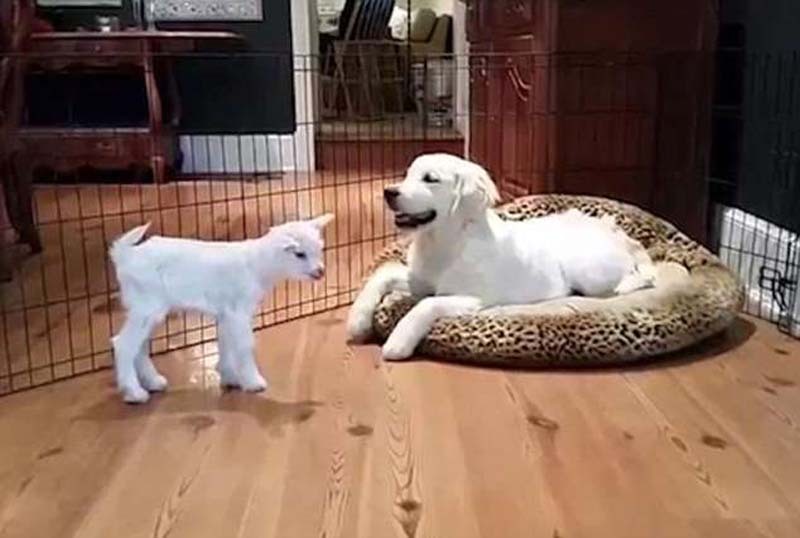 But this video showing a golden retriever pup meeting a four-day-old goat for the first time is the most heartwarming thing you'll see all day. 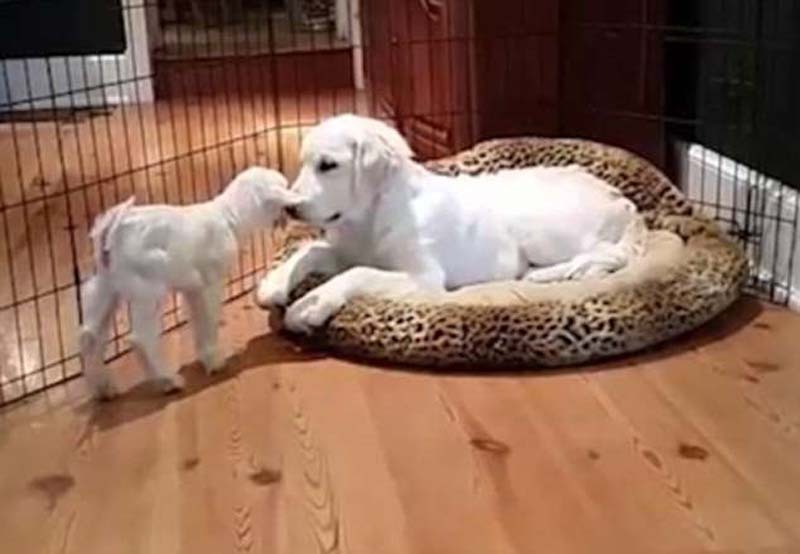 The home video shows a pup waking up to find an unexpected visitor, a baby goat, by his bed in Seattle. In the video the white Golden Retriever leans in to nuzzle his new pal. He then gets very excited about his new-found friendship and dances around the young billy. Yet the baby goat seems less convinced about the puppy's eagerness, preferring to walk away for some peace and quiet. The video has accumulated close to 8,000 reactions and more than 2,000 shares on the What Did I Just Watch page on Facebook since it was first shared. Another man claimed that it would be a slow burn for the dog. 'Just looks like a great friendship about to develop in time,' another said.